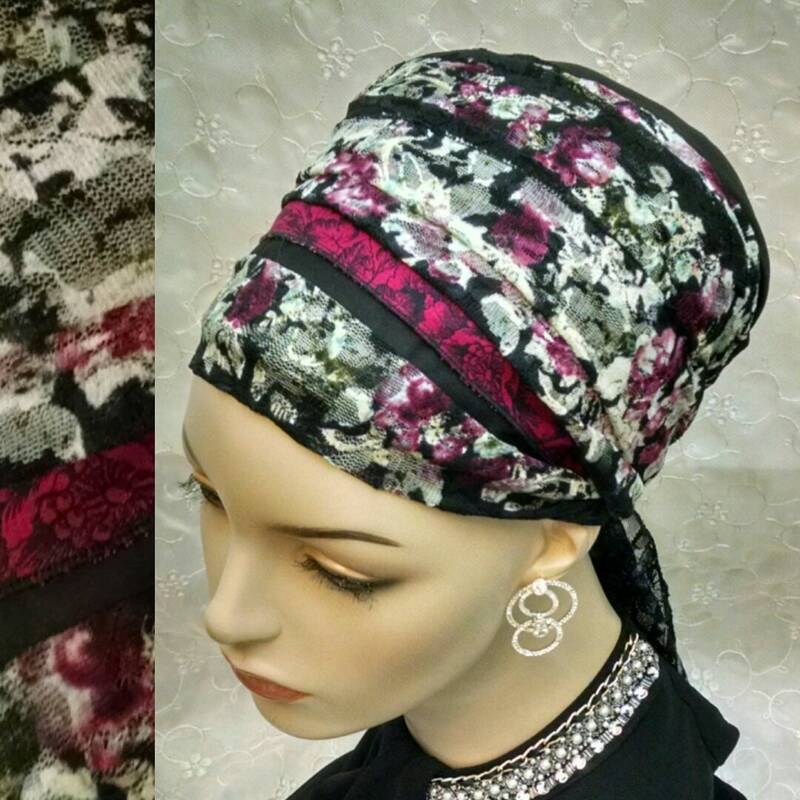 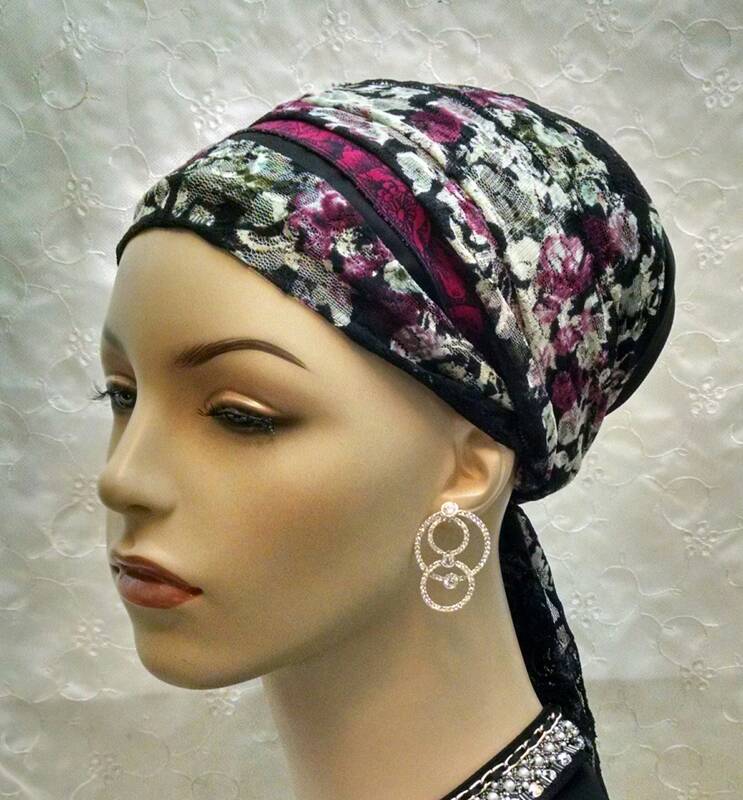 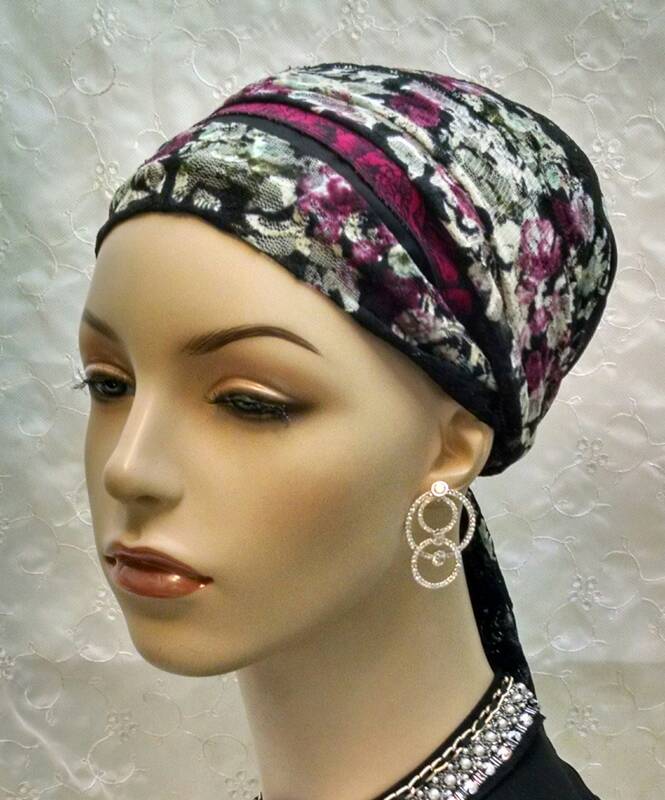 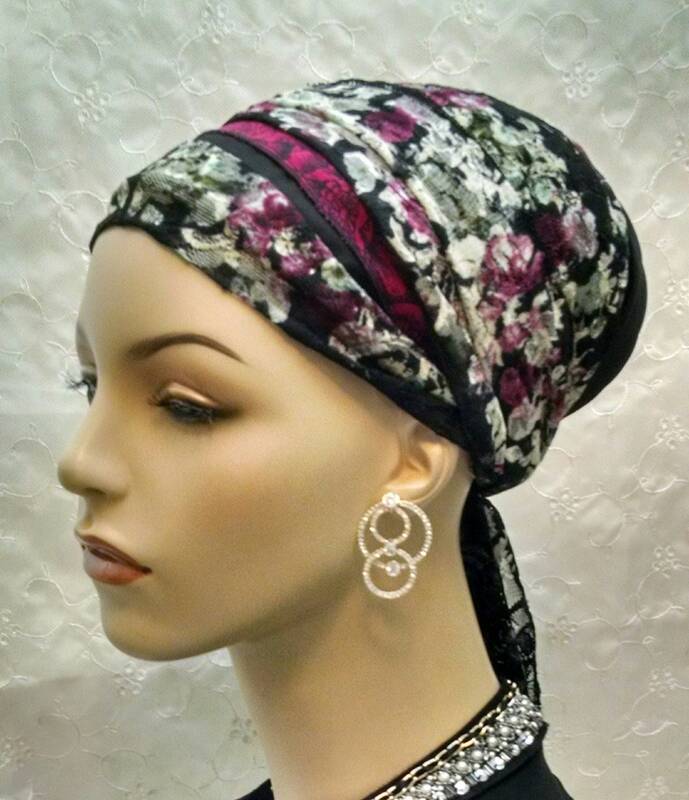 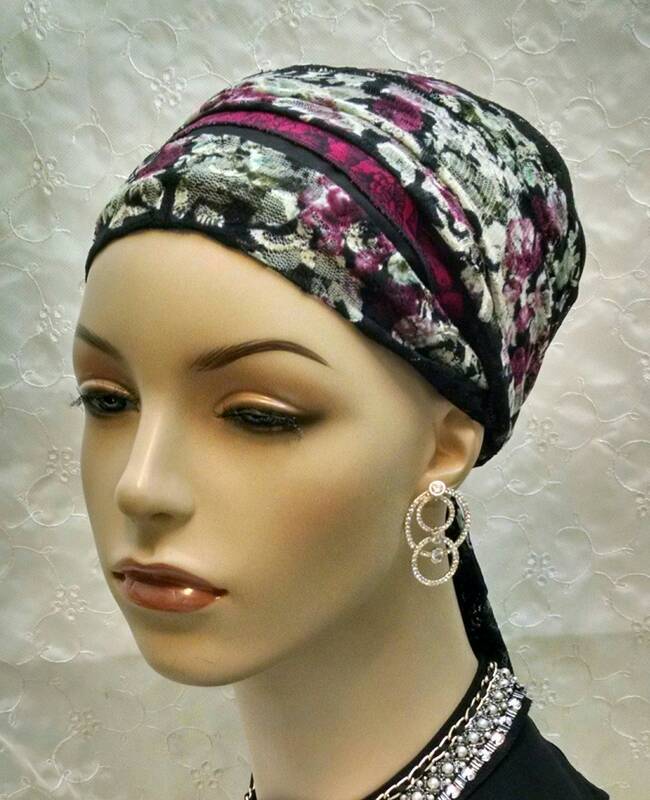 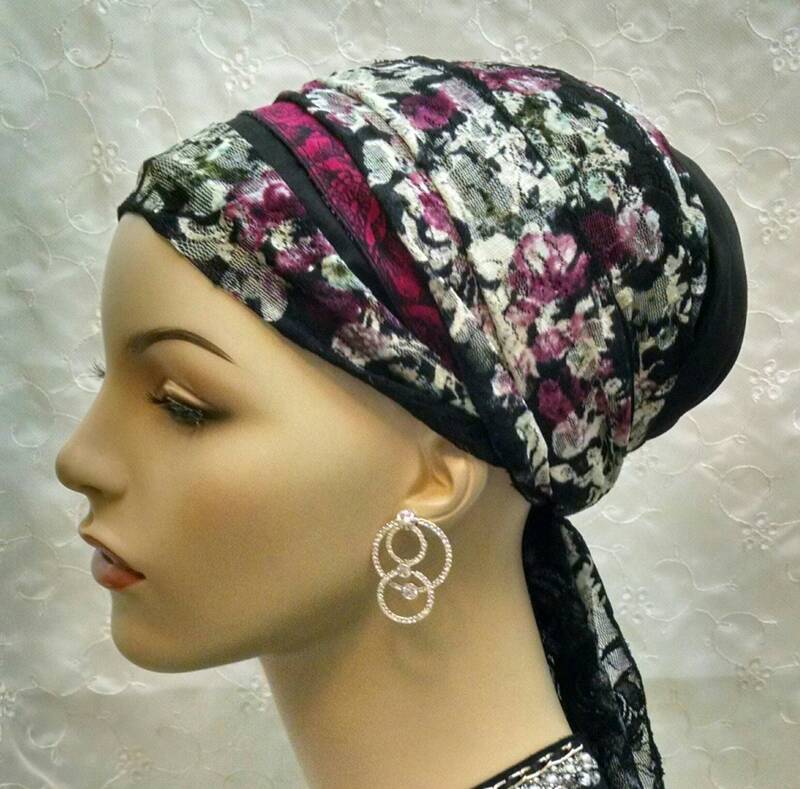 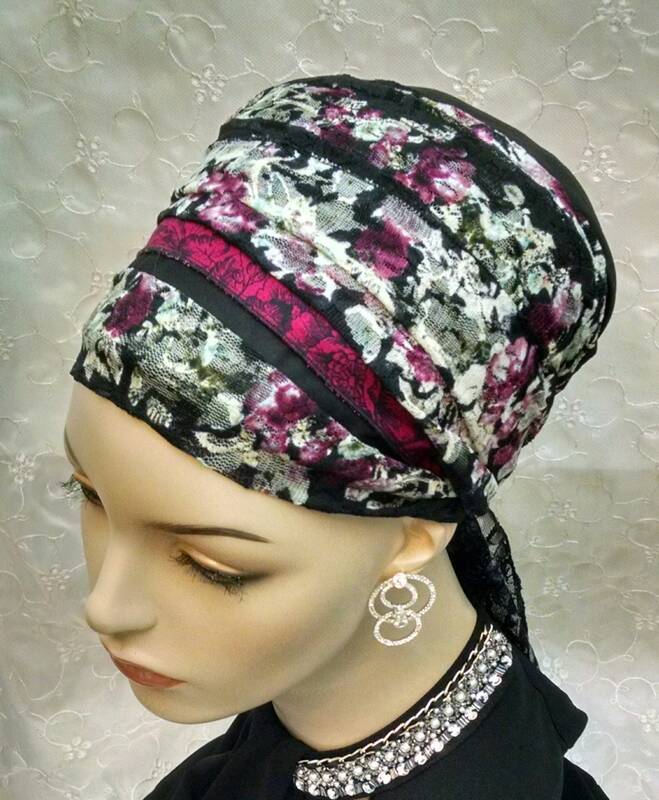 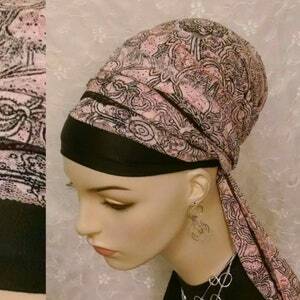 Beautiful and romantic black and magenta sinar tichel! 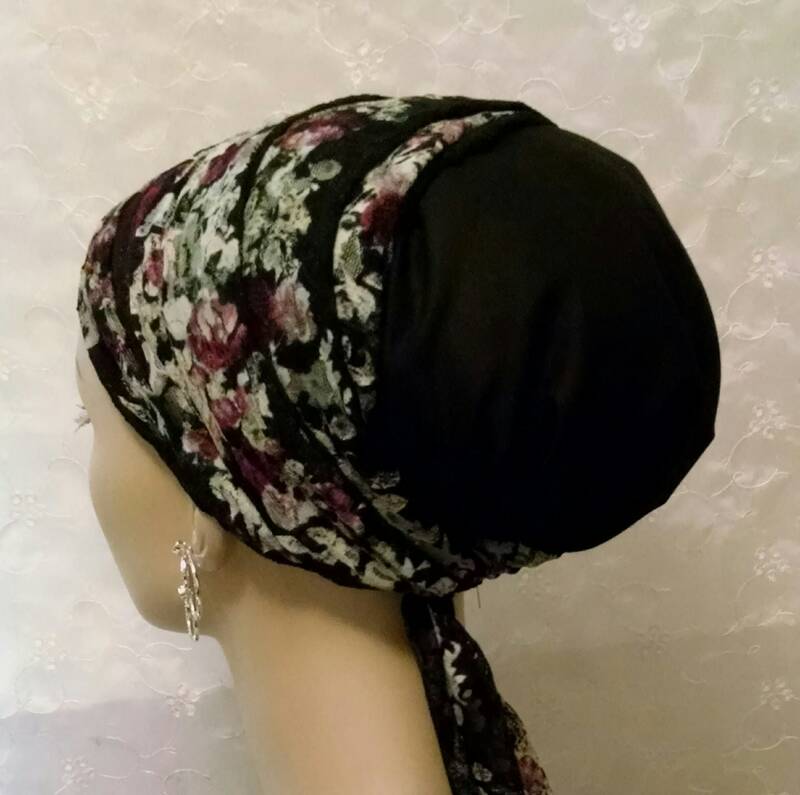 A beautiful wrap for those special times! 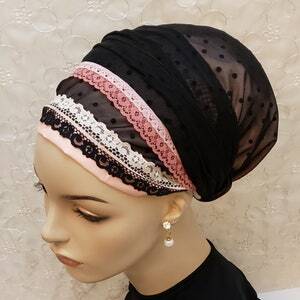 Cool comfortable cotton, wrapped with lace. 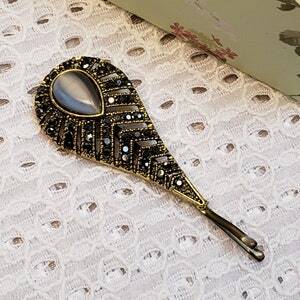 A beautiful finish to your outfit. 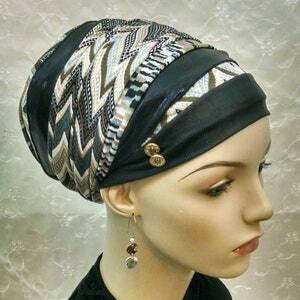 Perfect for Shabbat, Yom Tov, weddings, special occasions, going out, whenever you like!